Mention vitamin A and most people will immediately think of carrots. Did you know that consuming a medium-sized carrot allows you to obtain more than 200% of your daily requirements of the eye health-boosting nutrient? Aside from vitamin A, carrots are also good sources of fiber, magnesium and vitamin C.
Here’s one good reason why you should love sweet potatoes even more: a medium-sized piece of it provides over 400% of the daily vitamin A needs of an adult! 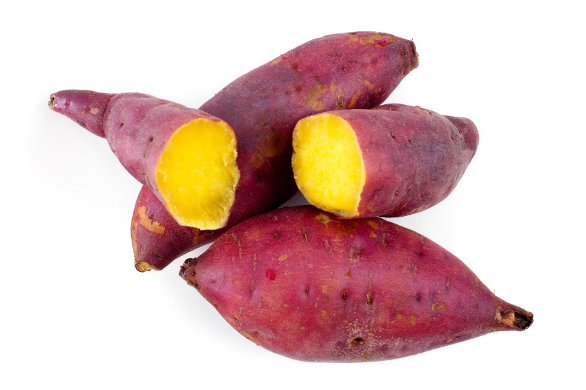 Sweet potatoes also supply your body with fiber, potassium, calcium, magnesium, iron, and vitamins B6 and C.
The bright color of red bell peppers is an indicator that they are loaded with vitamin A that’s good for your eyes. You can obtain as much as 42% of your daily needs of vitamin A in just a tablespoon of red bell peppers. They are also fantastic sources of vitamin C that strengthens your immune system and makes your skin young and healthy. A 100-gram serving of tuna is said to yield 50% of your daily vitamin A requirements. Other fish and seafood that are good sources of the nutrient include sturgeon, mackerel and oysters. It’s true that the color of fruits and vegetables reveal much about their nutritional content. 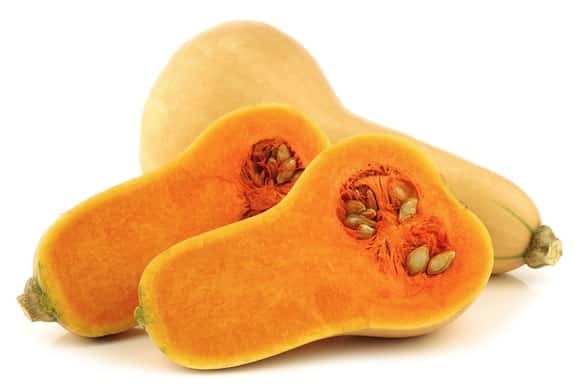 Take a look at butternut squash for instance — a cup of this lovely yellow-orange vegetable provides over 400% of your daily requirements of vitamin A. Butternut squash also contains fiber, potassium and vitamin C.
If you are on the hunt for vitamin A-packed foods that are low in calories and fat, get your hands on some cantaloupes. Succulent and mouth-watering, a wedge of cantaloupe yields 120% of your daily value of vitamin A. Cantaloupes are also packed with antioxidants that neutralize free radicals. There are plenty of dark green leafy vegetables that are excellent sources of vitamin A. They include spinach, Swiss chards and collared greens. However, kale reigns supreme because a cup of it provides as much as 200% of your everyday vitamin A needs. Kale also contains fiber, potassium, calcium, iron, magnesium, and vitamins B1, B2, B6 and E.
Aside from pleasing your taste buds, mangoes also help keep your vision sharp. A cup of them provides 36% of your daily needs of vitamin A. These tropical fruits also provide you with fiber, potassium, folate, protein, and vitamins B6, C and K.
Snacking on dried apricots is great for your eyes. That’s because a cup of them yields 94% of your daily recommended value of vitamin A. Munching on them also helps keep constipation at bay because dried apricots are loaded with fiber. They contain vitamin C, too, that helps ward off diseases and infections.